January Fish of the Month Entry - Minkie Trout! The 2013 Guideline Catalogue is available Online! January Fish of the Month Entry - Scottish Pike! January Fish of the Month Entry - Trolled Pike! January Fish of the Month Entry - Buzzer Blue! January Fish of the Month Entry - Nith Grayling! Orvis Helios 2 Rods - Now in Stock! 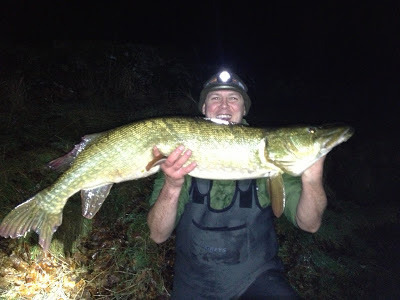 January Fish of the Month Entry - Dumfries Pike! January Fish of the Month Entry - Club Record! January Fish of the Month Entry - Junior Double! January Fish of the Month Entry - Night Pike! January Fish of the Month Entry - Crinan Skate! January Fish of the Month Entry - First Zander! Daiwa NewEra SLR Demo Rods Now Instore! January Fish of the Month Entry - December Daddy! January Fish of the Month Entry - Lynx Rig Pike! January Fish of the Month Entry - Drifter Pike! Chris Hamilton with a big Scottish Pike, taken at night on a Lamprey deadbait earlier this year! Chris with a big night-time feeder! You can vote for this picture to win on Facebook by selecting it in the January 2013 gallery HERE and hitting the 'Like' button!